Labrador Retriever in the autumn forest. Leaves. Trees. Dog pictures c Labrador Retriever in the autumn forest. Smile. Labrador Retriever in the autumn forest. Smile. 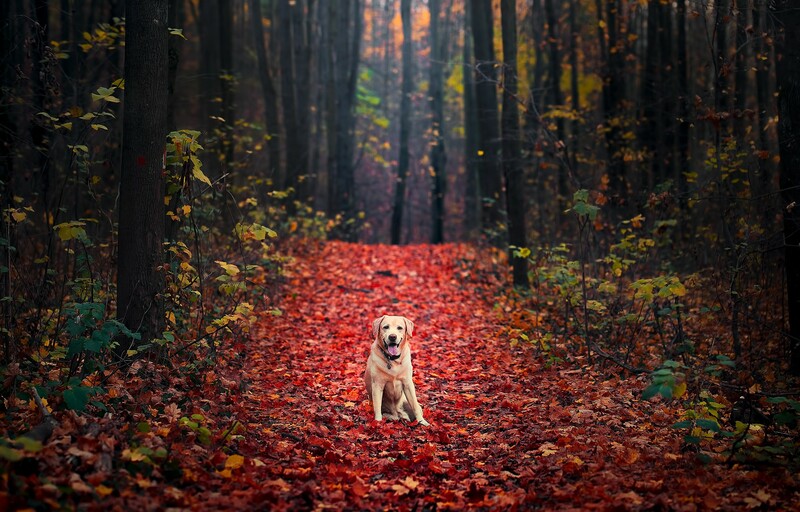 Labrador Retriever in the autumn forest.